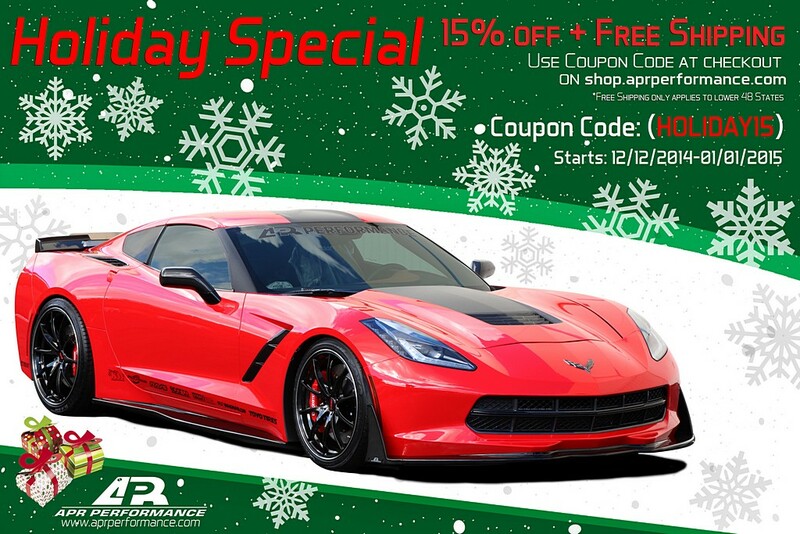 APR Performance 2014 Holiday Special is HERE! APR Performance’s 2014 Holiday Special start December 12, 2014 and end January 1, 2015. Be sure to enter the Coupon Code: HOLIDAY15 to get 15% off + Free Shipping (within lower 48 States) at checkout.